Okay, so this morning I speculated that we might get more Diablo news this year for various reasons. 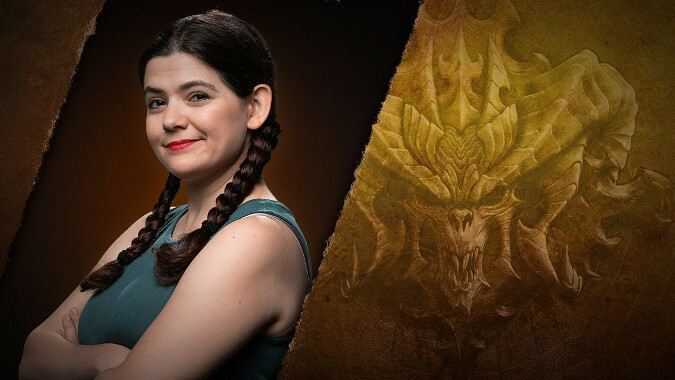 Almost immediately after, Community Manager Nevalistis — or Brandy Camel if you prefer real names — dropped a little bomb on us all with this tweet from the Diablo account. It turns out that there are multiple Diablo projects in the works at Blizzard, and we’re going to hear more about them later this year. I won’t say I called it, but I do feel a little better about my speculation now. Note that she doesn’t say BlizzCon specifically — in fact, she doesn’t even say what the projects are, just that there are multiple Diablo projects. The video first mentions Diablo 3‘s Themed Seasons and the Season of Greed before telling us that Blizzard has those multiple projects in the works. There were no details shared on exactly what those projects are, just that some are going to take longer than others and that they may release more details later this year. With Gamescom and BlizzCon both looming large and Blizzard in a release cycle with several of their franchises, you might well speculate that there will be announcements at one or both of those. But keep in mind, that’s not what the announcement said. I say this as much to cool my own jets as yours. Nevalistis saying “multiple projects” here leaves a lot of room to wonder what, in particular, those projects are. It absolutely could be Diablo 4 or a Diablo 3 expansion, or a mobile game, or more media tie-ins (there’s that Diablo comic coming out that we know of so far) but we can’t rule anything out. We’ve talked about Diablo hiring new people for a while now, so it seems likely at least some sort of game announcement will be made. But it could just as easily be a Switch port or a Diablo 2 remaster with the wording Nevalistis chose. I am now ridiculously excited for the next four months. Come on, Blizzard, don’t leave me hanging here. We loyal Diablo fans have been waiting for some news for a while, let’s get to it.